I am very excited to be offering the PureGenomics™ nutrigenomics program! It’s a unique individualized nutritional solution developed by Pure Encapsulations, in collaboration with Nathan Morris, M.D. and Kelly Heim, Ph.D.
Metabolism and Weight Management. The PureGenomics program includes targeted nutrition supplements to support SNPs that may be expressed. Having one of these SNPs does not necessarily mean you’ll have a problem. The SNP has to first be activated or turned on. But if you are not feeling well, and haven’t been able to figure out why, getting the information about the genes in your methylation pathway may help get to the root of the problem. Many things in your environment can trigger a SNP, such as your nutrition, infections, environmental toxins, stress, pregnancy, to name a few. Nutrigenomics is a personalized nutrition approach that supports your health according to your own unique genetic profile and variations or SNPs. Read my page about Nutrigenomics and the PureGenomics Program. Why Is Methylation So Critical to Good Health? It’s easy to understand why weak links in the methylation pathway can affect our health, our mood and the way we feel. 1. 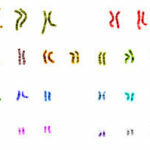 TEST for nutritionally relevant SNPs with saliva-based personal genome analysis kits by 23andMe or ancestry.com personal genomics and biotechnology companies. 2. TRANSLATE results to nutritional recommendations with an innovative web application designed by Pure Encapsulations. 3. TARGET with personalized nutritional support. Pure Encapsulations PureGenomics platform of products supports the methylation pathway with targeted ingredients at clinically relevant doses, and in clinically relevant forms. My online store offers the PureGenomics nutrition supplements and PureGenomics Nutrition Consultation.